Usually in swamps (deciduous or coniferous) or wet hollows and seepy slopes in upland rich deciduous forests. 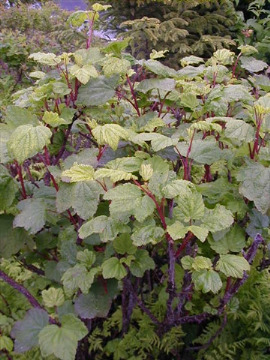 Like R. glandulosum, with which it often grows, this is a low shrub with reclining stems, from which fertile leafy shoots ascend. The flowers are pinkish to red and very flat or saucer-like. MICHIGAN FLORA ONLINE. A. A. Reznicek, E. G. Voss, & B. S. Walters. February 2011. University of Michigan. Web. 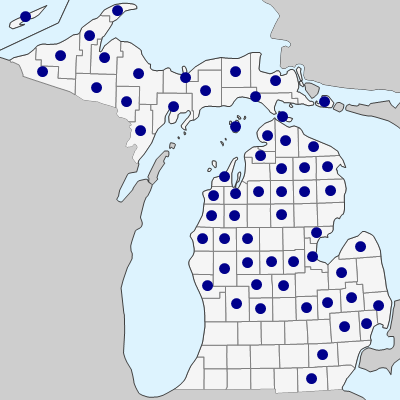 April 24, 2019. https://michiganflora.net/species.aspx?id=1423.